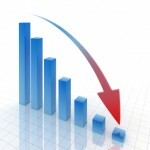 What Can I Do to Wait Out the Downturn? Many of my candidates have contacted me recently in frustration wondering if they are the only ones not out interviewing. Some are old friends who are at the Regionals, others are working for corporations, or the Fractionals, and still others are instructing. They all have the same questions and frustrations. The most frequent question I am being asked is what they can be doing to make themselves more marketable. Everyone is looking to be somewhere else. It is quite amusing to observe from the sidelines: Regional pilots are trying to go the corporate route, while corporate pilots are trying to land at the regionals, etc. While this is interesting for me, it is evident how difficult it is trying to make it through one of the worst downturns this industry has seen. I thought I would try and lend some advice as to what you can be doing in the meantime depending on where you are and what your situation may be. I have sent a bunch of resumes out and still haven’t heard anything!? Is this something that has happened to you? Are you constantly scrolling through the job postings at Will Fly for Food and feeling like you aren’t getting anywhere? In this article, I will try to help you identify potential challenges and make progress in this tough process. 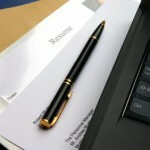 First, consider having a professional resume service review your resume for you. It is not uncommon to miss obvious mistakes on our own resume, and these mistakes can actually cost you the opportunity to interview. Remember, the recruiters and Chief pilots are looking for any reason to start trimming the stack of resumes on their desks. Don’t let yours be the one that is passed over. You want yours to be as close to perfect as possible, so that you increase your chance of obtaining an interview. I am in the process of filling out airline applications. I’m not sure about how to list PIC time, as the PIC time in my logbook is different than what will be listed on the application. Do I need to make changes in my logbook to have my times listed exactly as the application wants it?